Should we take a cruise or a land based tour? 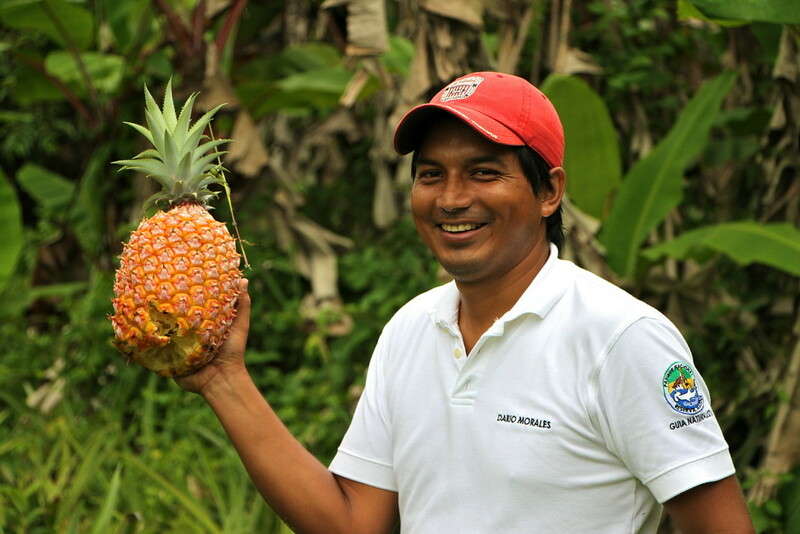 Utilise a tour company or arrange it locally on arrival? If we use a company, which one? How do we decide which islands to visit in the archipelago? How should we split our time between a cruise and independent excursions? Quite a list of questions, isn’t it? After exhausting many websites and guidebooks without making much progress, we decided that we would use a tour company to book a 5 day cruise, and then spend 4 days on our own exploring the islands independently. After some arduous research, we went with Happy Gringo tour operator, as they had options to suit all budgets, and a fantastic interactive map of the Galapagos which helped plan our time there! In the end we opted for a 5 day cruise of the Eastern & Southern islands (option A1) of the archipelago on a luxury catamaran, followed by 4 days of independent travel and were not disappointed! In terms of getting to the islands, we flew into San Cristobal from Guayaquil, and flew out of Baltra for Quito as we were travelling north through South America! 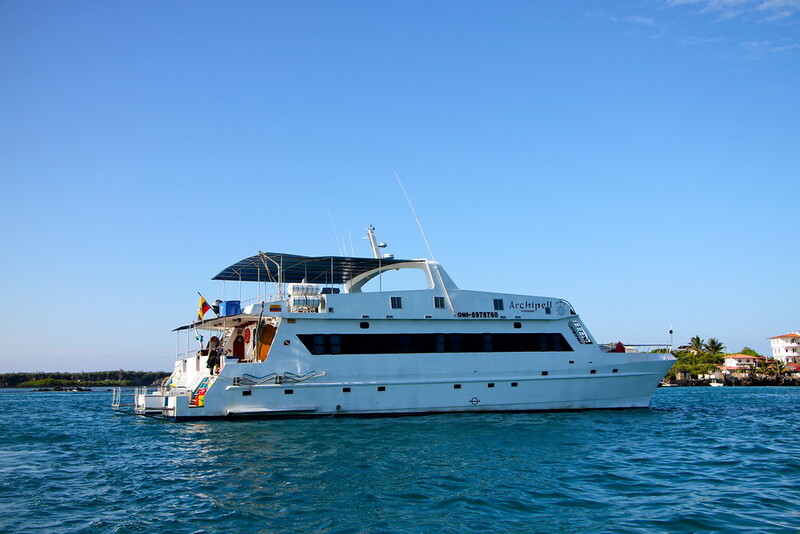 We chose the luxury catamaran as we were worried about sea sickness, with the Catamaran providing a smoother sailing experience around what can be quite choppy waters! It also had a capacity of 16 people, which was smaller than some of the other boats. So what were the facilities like, we hear you ask? Well, as we’d booked onto the luxury catamaran, we got a bit of luxury! We had our own private cabin with double bed and ensuite. Note the cabins are small, with just enough room for the bed and the ability to walk down one side of it. 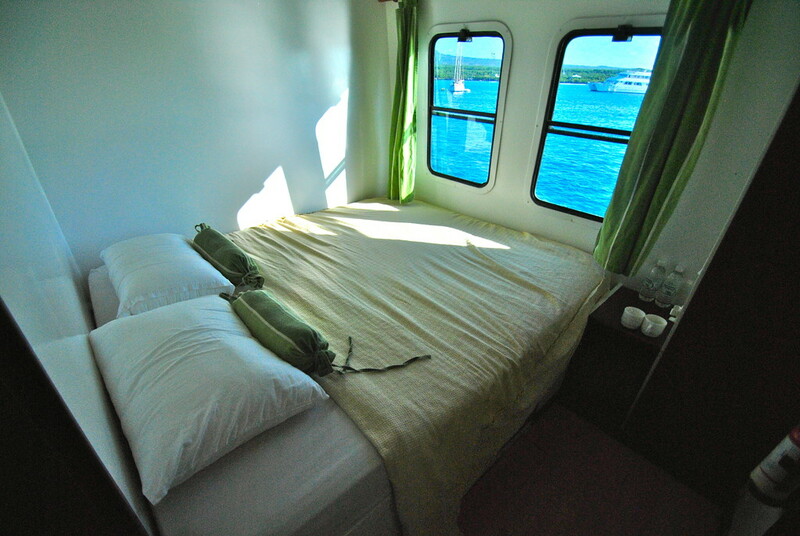 They were clean and comfortable, providing the bonus of sea view windows from your bed! 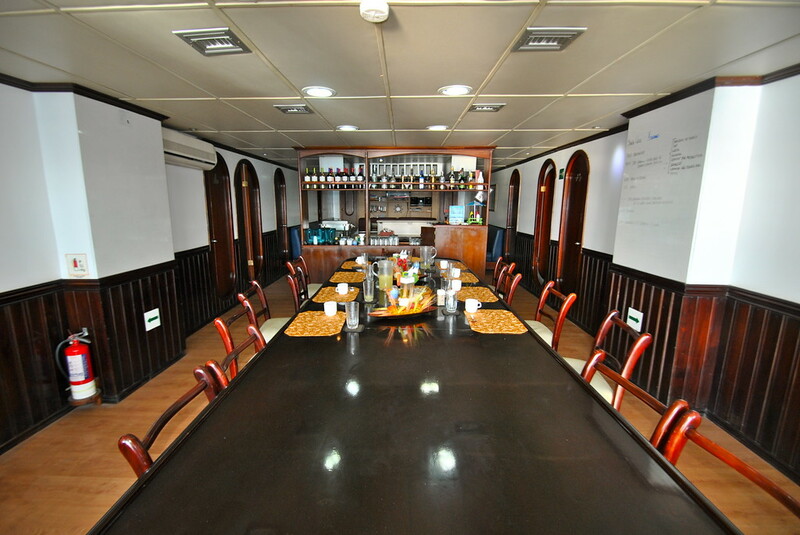 All meals were of excellent quality and varied, served in a beautiful dining area. 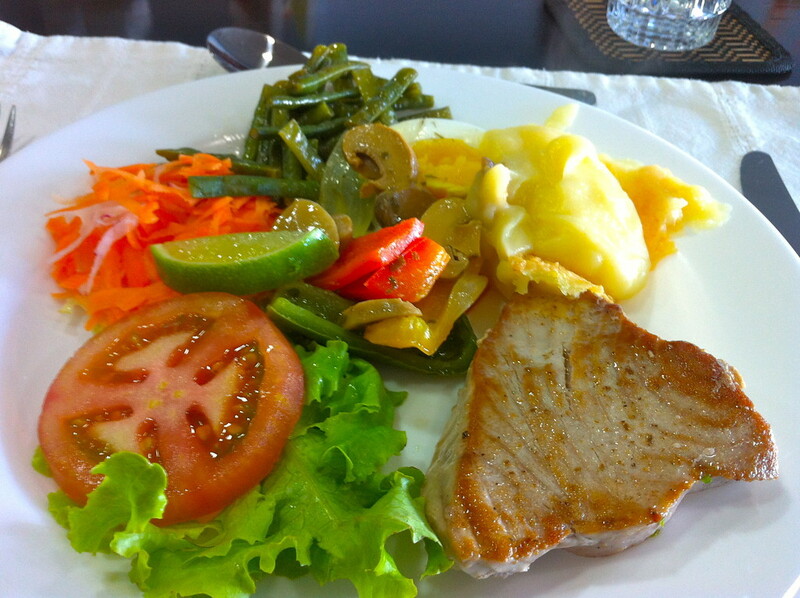 It was a buffet style meal, always with good salad options and vegetables, and a meat dish to go with it. 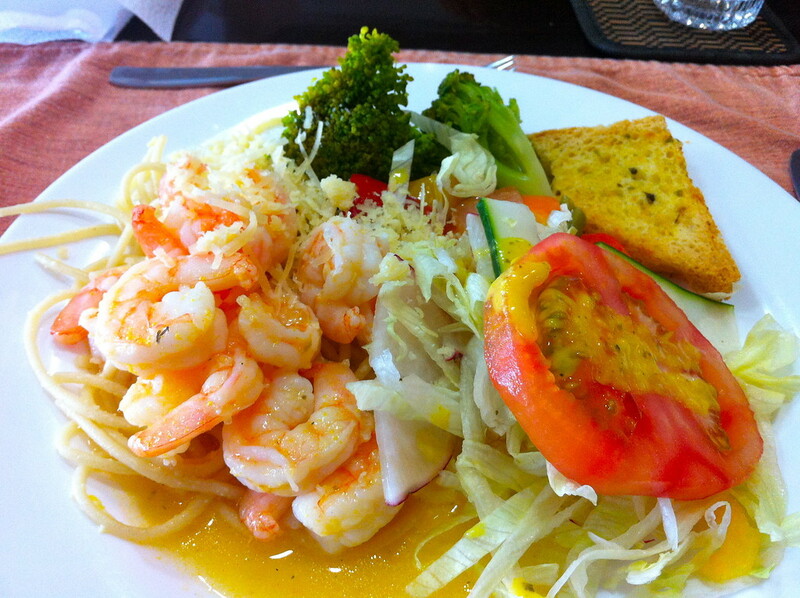 Many of our meals came with a bowl of soup and dessert as well, and we were always full! 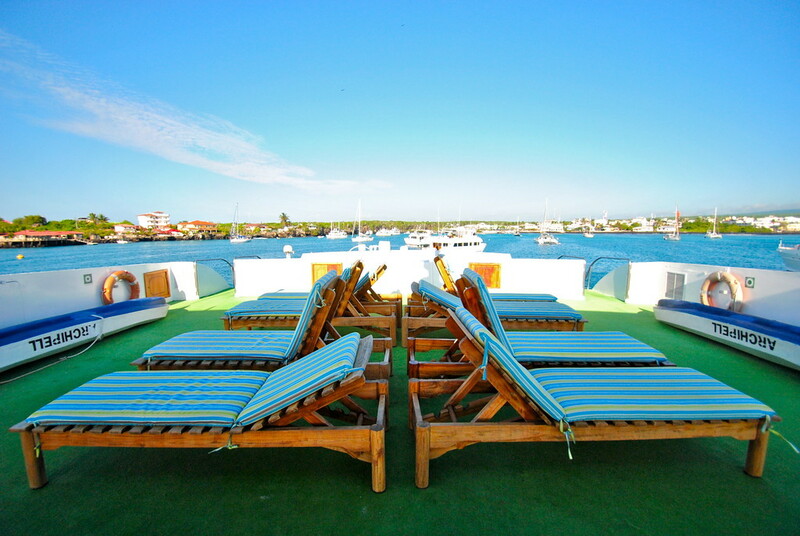 The best part of the boat for us was the upper deck where there was plenty of space to relax on sunbeds or simply enjoy the stunning views whilst sailing around the islands. We had many amazing moments on our Galápagos tour (as documented in our various articles), however there’s no doubt that the highlight was the incredible moment we witnessed a pod of over 200 dolphins swimming alongside our catamaran whilst cruising in the Galápagos waters. Overall we had a fantastic trip to the Galápagos Islands and would highly recommend the knowledge and services of Happy Gringo to help you in making those important decisions and arrangements! Hi , thanks for your information. good to see galapagos island cruise. and hope so much fun will be there.. It was small but perfectly formed haha!